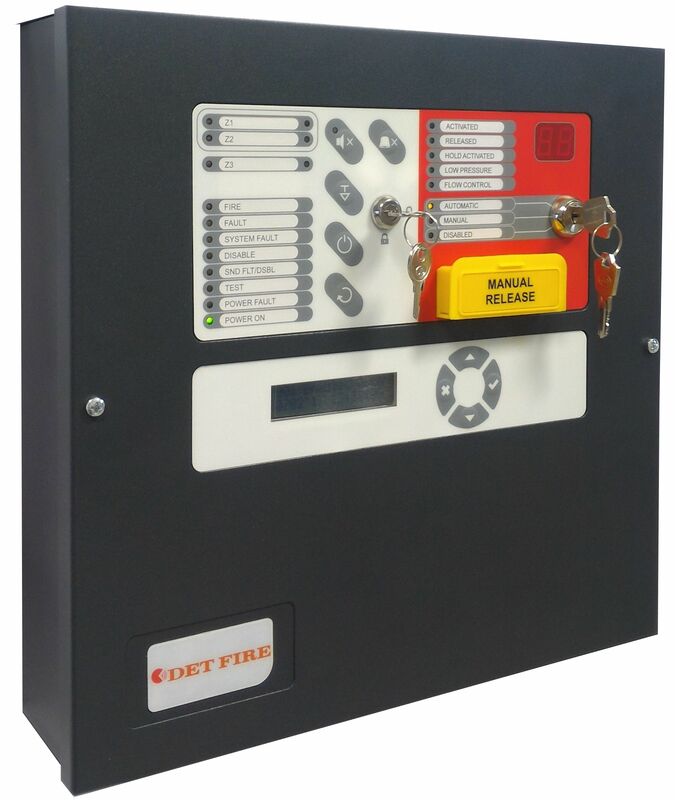 The DET FIRE mission is the production of equipment for the management of fire detection, gas and fire extinguishing systems. Year after year, DET FIRE produces technological solutions to meet the demands ranging from protection of small businesses, to complex and customized modular systems with applications in commercial, industrial and Fire & Gas fields. Thanks to the flexibility of design and research, based upon the expertise acquired over the years and with the necessary certifications, DET FIRE has reached the goal of becoming real partner of its customers by finding, together with them, more and more confident and innovative, technical solutions. It’s available, to customers, a useful technical support by hotline or via e-mail, as well as specific training courses, devoted to design offices, Installers and professional distributors. DET FIRE gives an high value to the technical and commercial training of its customers, that is updated with training courses concerning all the principal auguments of firefighting world.